Does your enterprise engage in eCommerce? If so, you’ve probably searched for ways to enhance your shipping operations. One investment may yield impressive results: consider choosing a USB digital postal scale to improve efficiency and enjoy seamless logistical support. Taking this step bolsters the competitiveness of companies engaging in high volume mailings! You won’t need to keep calibrating (and re-calibrating) a manual scale. For obvious reasons, mail equipment sales of USB shipping scales interest numerous entrepreneurs today. These important eCommerce tools help increase productivity. Of course, manufacturers currently build USB postal shipping scales in a variety of flavors. It generally helps to select a scale best suited for your firm’s daily activities. 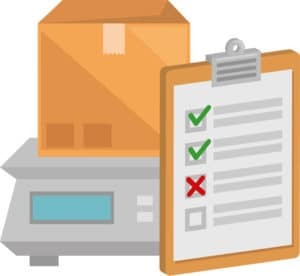 An important distinction exists between scales geared towards consumer use and the more expensive industrial models designed for high-volume commercial shippers. You’ll generally save money by purchasing a consumer grade USB postal shipping scale unless you mail at least 500 orders per month. Pay close attention to the manufacturer’s reputation: investing in a quality brand popular within your specific industry may help avoid problems caused by inaccurate weight measurements and/or software incompatibilities. (You’ll need to ensure this equipment functions compatibly with your shipping platform.) Most top-ranked suppliers offer customer support for their products. Experts recommend choosing a USB postal shipping scale which relies upon an A/C adapter to obtain uninterrupted service. (Battery-powered models eventually will require the installation of replacement batteries.) Additionally, it assists most shippers to select equipment capable of measuring weights precisely in small increments, such as ounces and pounds. USB postal scales automatically round weights upwards to prevent shipping delays due to insufficient postage.